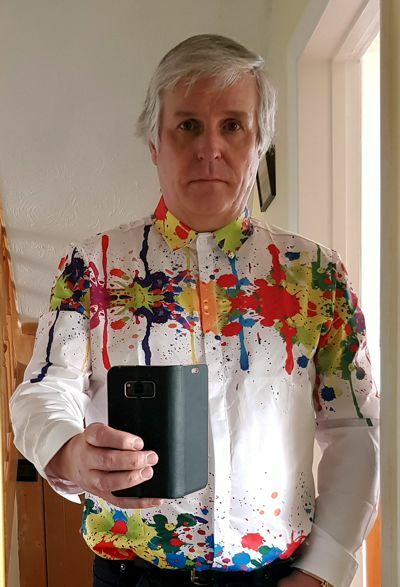 So, it seems that if you like shirts with running paint on them, you can get them in splats, too. I'll have to try it with my dinner suit. The buttons are covered up, so it counts as formal.